Sometimes as a reader you get to read a book that make you say the aforementioned expression after you close the book. 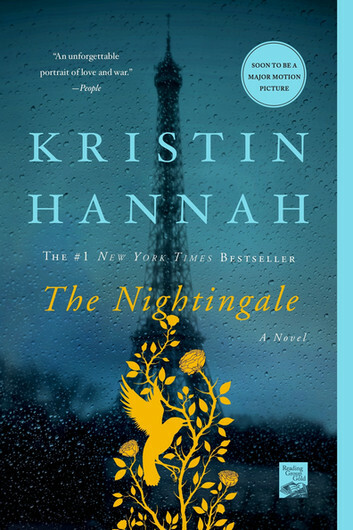 The Nightingale by Kristin Hannah is such a novel for me. The story of two French sisters, Vianne and Isabelle Mauriac, and their harrowing journey during the German Occupation of France during World War 2. Isabelle is young, impetuous and rebellious. She is determined to fight for France’s liberation of German Occupation. Vianne is older, reserved, and missing her husband, Antoine, who was recently sent off to fight for France. Hannah does an excellent job of showing the strengths and weaknesses of both sisters’ characters and the choices each one had to face and endure throughout the entire novel. Both women grew into the respective roles during the war. Isabelle joined the French resistance and becomes known as “The Nightingale” because of her ability in helping fallen Allied soldiers escape France. Vianne became known as the one who helped orphaned Jewish children find shelter during the occupation. I was riveted by each woman’s role to help France resist German occupation. Also, their relationship to their father, Julien, was revealed during the novel. Hannah uses both first and third person in the novel and those multiple viewpoints gave the novel a verisimilitude that kept me reading. The last sixty pages of the novel was gut-wrenching and revealed how the right choice may not lead to the desired outcome. I will admit that the romance between Isabelle and Gaetan, a French resistance soldier, felt off and not totally convincing. However, the rest of the novel overshadowed their relationship, and it is only a minor quibble. I highly recommend The Nightingale by Kristin Hannah. It will become one of my favorite reads of 2018 and a novel that should be a choice for book clubs. Wow!